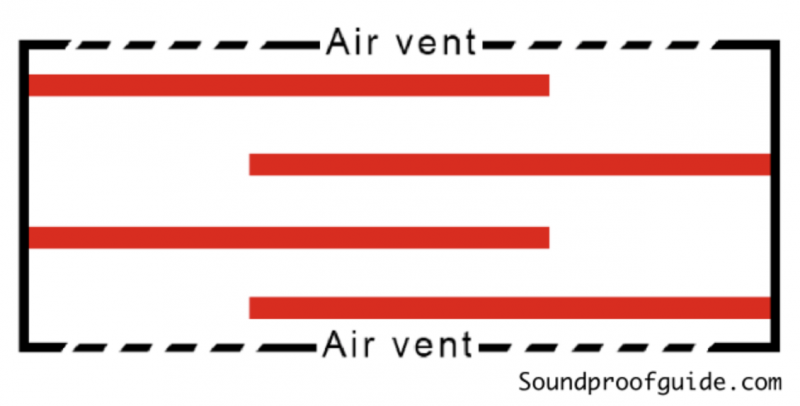 If you’re in the process of soundproofing a room, you might be in a little pickle if you have to deal with an above door air pathway transfer grill, most commonly referred to as an above door air vent. You can completely block them off, but then you’re left with a room that lacks the proper amount of return air coming in from the hallway or the adjacent room. Your next option is to try to reduce the noise coming from an overhead door air vent. This article will show you just that, with a few options as to how to soundproof an above door air vent. What is an Above Door Air Transfer Grill (Above Door Air Vent) and What Does It Do? Before we begin ripping an air transfer grill apart, here is an explanation of its precise use. In this section, I will explain how to install an above door air vent with a noise reducing honeycomb insert. 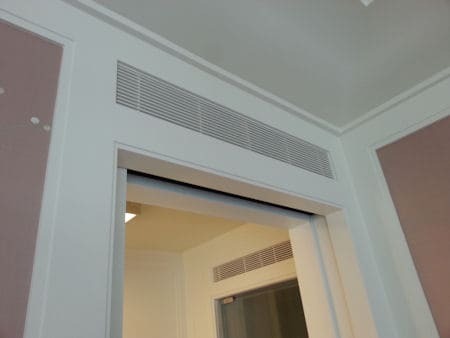 Some of you might never even consider installing an above door air transfer grill because of the noise transfer between rooms. Rest assured, there are a few ways to reduce the noise transfer. Tamarack technologies have a product called an interior baffle. An interior baffle is a honeycomb-shaped section you insert between the two grills to reduce light and noise transfer between rooms. This is a simple installation, but there are a few considerations. Make sure you’re not cutting into the wiring. Begin by selecting a space over a doorway and measure the metal frame. Transfer those measurements to where you want to install the vent. Use your stud finder and level to map out the exact location where you’re going to cut through the wallboard. Cut the wallboard using your drywall saw and set the metal frame in place. Draw the same dimensions on the facing wallboard and cut through the other wall. Insert the noise reducing honeycomb unit and place both return air grills over the metal frame and fasten it. That wasn’t too difficult, right? I even included a video that shows you step by step on how to install an overhead door air vent. Click here for the Amazon link to the noise reducing honeycomb kit. There are Three soundproofing solutions to chose from. The first one is the honeycomb insert mentioned above. The second choice is to block the air vent altogether completely. Do this only if you know for a fact that it is no longer needed. Blocking off the air vent would give a full proof sound reduction. It would, however, deprive you of the heating and cooling of your room through air circulation. The third alternative is by creating a sound maze. Like the honeycomb insert, the sound maze will not give you full sound reduction it would still reduce enough noise for you to concentrate or have a better nights sleep. You can hire a professional to block off the above door air vent, but that will cost a bit more than you would probably want to spend. That method would also be permanent. I have a blocking off process that is NOT permanent. This process can be reversed if there is a future need for the vent. The none-permanent DIY vent blocking method only requires one product, Great Stuff Big Gap Filler Insulating Foam Sealant. I recommend this product because I’ve used it and know for a fact that it works. Begin by removing the vent, spray the inside area with the Great Stuff Big Gap Filler Insulating Foam Sealant (link to Amazon) so it entirely seals the area; and then put the vents on so that it looks normal again. At least with this method, if you need to reopen the vent you can simply cut out the foam insulation with a drywall saw and reattach the vents. Another way to block the vent would be to glue a piece of plywood directly on the back of both vents. After the plywood is glued to the vent, make sure to lay a strip of sealant on all four sides of the plywood. The sealant should be a soundproofing sealant such as Green Glue (Amazon Link) because this is precisely made, so it never hardens and cracks. This third door return air vent soundproofing method takes a bit more DIY work. But this method will provide you some sound reduction and will not compromise the air flow into the room. This is the only method that I’ve never personally used. I have however heard people getting good results from a noise reduction sound maze. The way this method work is by making a miniature maze inside the vent space using pieces of thin wood with acoustic foam taped directly to the plywood. This way, the sound has to zig-zag around several layers before entering either the room, which will significantly deaden most sounds. A small amount of acoustic cotton or foam. I recommend using this foam available on Amazon. The downside to this method is that it isn’t as effective at blocking noise as drywalling off the above door air duct. However, it should dramatically cut the amount of noise compared to leaving the vent untouched. Check out the picture below to see how this method works. The red lines are your pieces of plywood with acoustic foam attached on both sides using green glue noise-proofing sealant. The air duct sound maze is a pretty simple build. Soundproofing an above door air vent is not a complicated task when adequately informed. I hope you found this information useful. 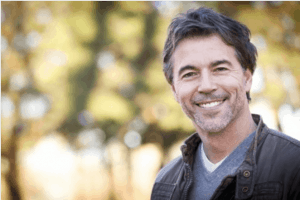 Please let me know in the comments below if you used any of these methods or if you have a new approach I never thought of in this article.